Notes Captured within 6 nights. Some high cloud passes. First light with Moravian G3-16200 sensor. 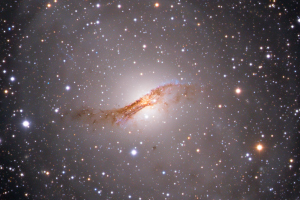 Centaurus A is a well studied radio galaxy (active galactic nucleus). 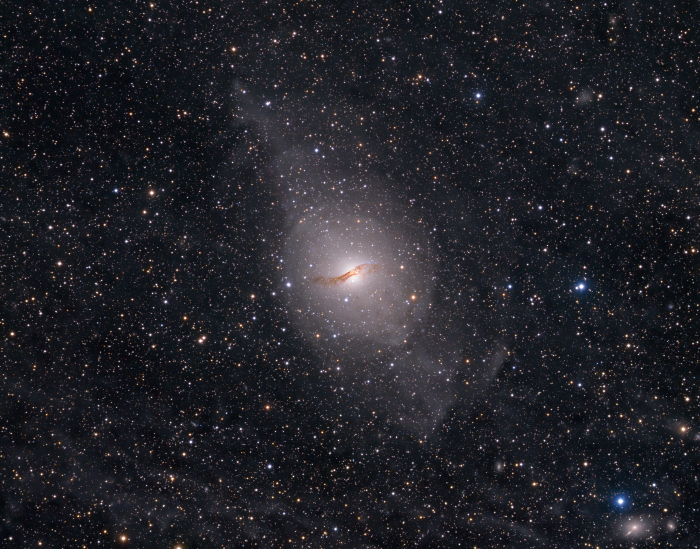 The central dust lane is the result of the collision and merging with a smaller spiral galaxy. Some features and effects (e.g., triggered star formation) of the relativistic jets can be seen in the image (in the 10-11 o'clock position). A crop of the center in 150% resolution is given below. 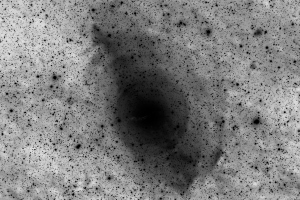 The total luminance image (13.7h) inverted and heavily stretched is given below. The various shells structures of the extended halo are clearly visible. Note there is also a considerable amount of galactical cirrus in this area.